Canon EF-S 55-250mm zoom @ 250 mm, f/5.6. The original plan was to take no pictures; I didn't even take a tripod. Then at the last minute I just could not resist taking a few shots. I manually focused on a distant telephone pole and put masking tape on the lens to hold the focus. Here is the sequence of events. 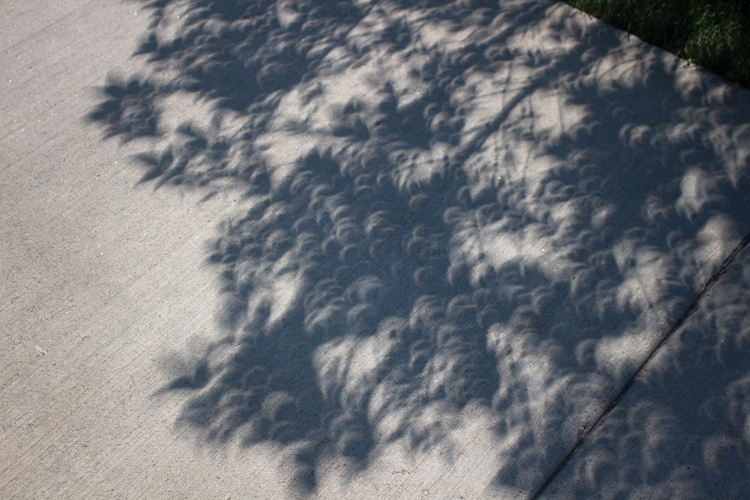 We watched with solar glasses until everything went black. Then dropped the solar glasses to see the first diamond ring. I viewed the corona and looked for solar flares with binoculars for a few seconds. 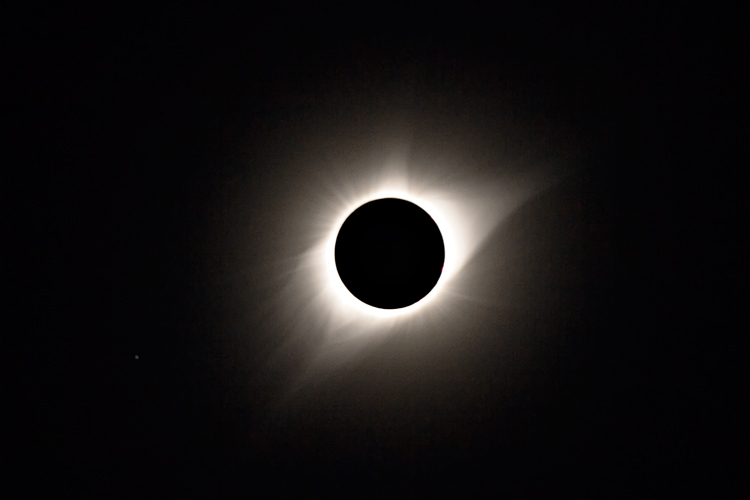 The corona was beautiful but I could not see any flares. Took five quick images with the camera set for automatic exposures. Then I just enjoyed the rest of the show. Surprisingly, the presence of solar flares was clearly visible with the naked eye. We left Cheyenne at about 9:30 PM. 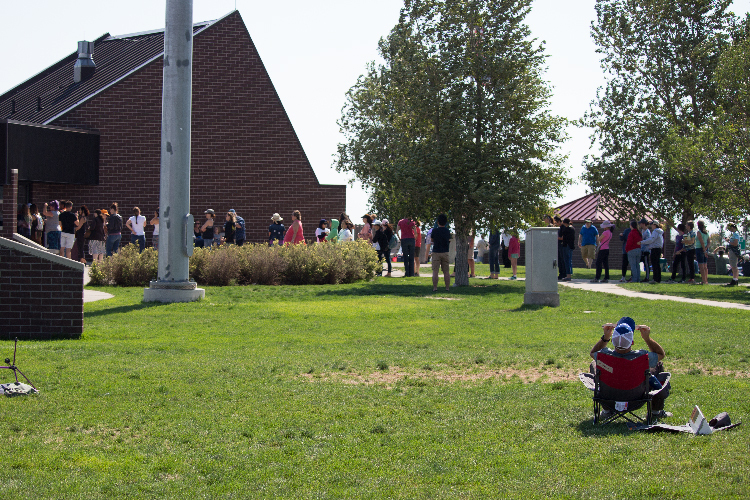 The plan was to at least get to Wheatland where the totality duration was about 55 sec. When we got there, the traffic was OK and moving fast. 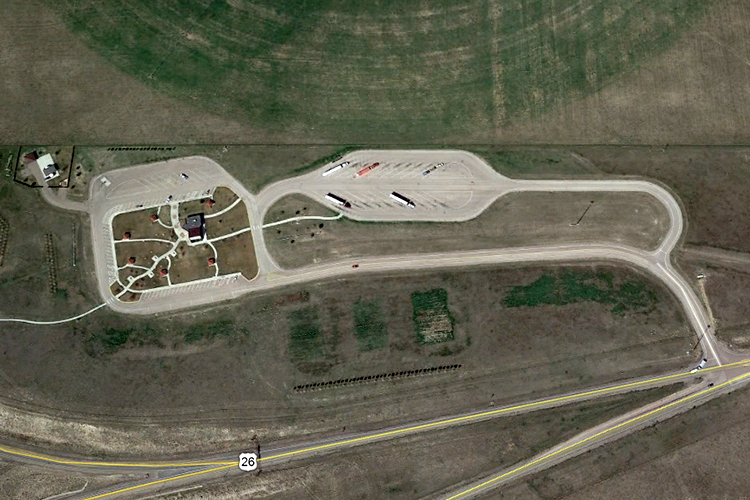 So, it was on to Dwyer Junction where totality was 2 min 15 sec. We arrived at about 11:00 PM. Almost everyone else continued on to Glendo. They got 15 sec. 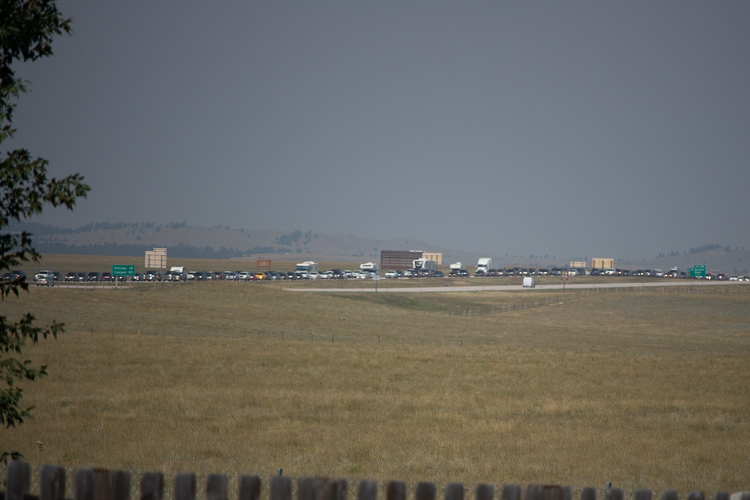 more totality but paid a heavy price with return trip traffic. Staying at Dwyer Junction was the right choice. This clearly was not an original idea. It was like a mini Woodstock. Monday morning, the sky was clear. The sunrise was almost as good as the eclipse. Just above the horizon, the Sun was a brilliant deep red. Wyoming did a wonderful job. Even though they were overwhelmed, they continued to do great work. We converted the minivan to a small camper and fortunately had our own facilities. 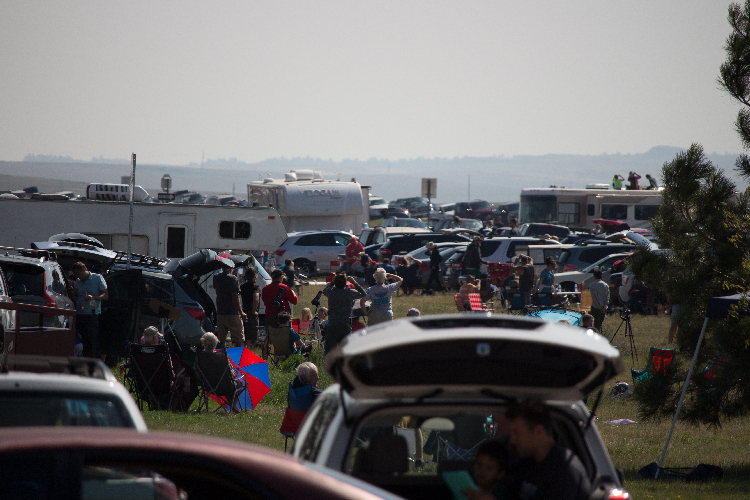 Fifteen minutes after totality, the traffic was backed up, 20 miles, all the way to Glendo. It took us three hours to drive 80 miles back to Cheyenne. It took some folks eight hours to drive the 100 miles from Glendo. Some gave up and just spent the night along the highway. Although it was against the law, the state patrol allowed it.